Deep sea sport fishing off the Caicos barrier reef. Yellowtail snapper on the reef. Great recreational fishing is found throughout the Turks and Caicos and North and Middle Caicos are no exception. Small-scale commercial fishing for local consumption takes place on these two islands, but unlike the fishing industry on South Caicos, Grand Turk and Providenciales, no products are exported internationally. 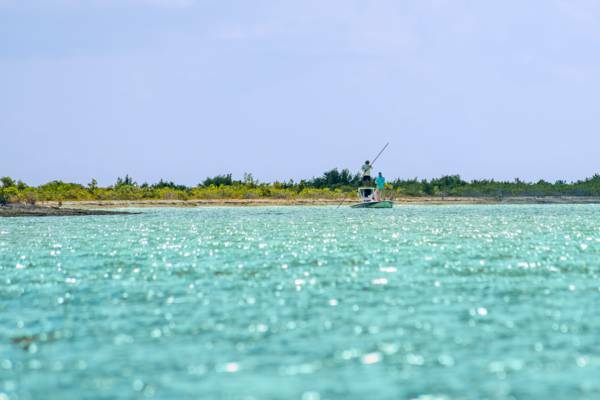 Residents and visitors alike are required to be in possession of a valid fishing license when fishing anywhere in the Turks and Caicos, regardless if anything is caught. Visitor and recreational licenses are offered as daily ($10) and monthly ($30) options. Water sports businesses often include any necessary licenses with excursions. Unfortunately, licenses are not available on either North Caicos or Middle Caicos. We recommend visiting one of the larger marinas on Providenciales to obtain your license. It is illegal to fish, or collect conch, crabs, lobster or shellfish in any national park or protected area. North and Middle Caicos mainly have three protected areas that effect fisherman: the East Bay Islands National Park near the beautiful Bottle Creek Lagoon, the Vine Point and Ocean Hole Nature Preserve, and the expansive Ramsar North, Middle and East Caicos Nature Preserve. If you fish on your own, it’s your duty to have a license and to avoid protected areas. 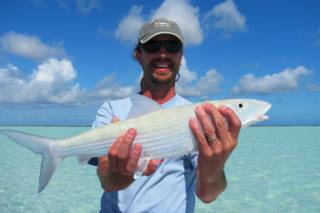 Chasing the elusive bonefish on the flats of North Caicos. The Caicos Bank shallows south of North Caicos, Middle Caicos and East Caicos are unparalleled bonefishing locations. Tarpon, bonefish and barracuda abound. Access to some flats can be a little difficult, but a serious saltwater fly or spin fisherman will be hard-pressed to find better conditions. Small skiffs that draw very little water are the vessel of choice. Small spotting platforms are typically standard fixtures as well. 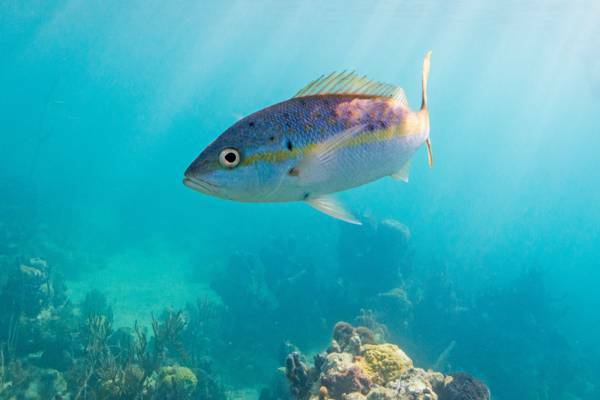 Fishing for edible snappers, groupers, jacks and yellowtail is also excellent. The channels between the many island, north coast barrier reef, and Caicos Banks reef shoals shelter an abundance of marine life. This genre of fishing is suitable for a wide range of skill and strength levels and is a great family activity. The equipment typically used is common light fishing line, tackle and rods. As is the case with all of the large islands in the country, deep ocean water is found within easy access. The main drawback of deep-sea fishing on North and Middle Caicos is that no dedicated deep-sea fishing businesses operate on the two islands. You may want to consider working with a Providenciales fishing operator. The causeway is the best shore fishing spot for casual line fishing on the two islands. Many other excellent sites do exist, but they are tend to be difficult to access. The best DIY bonefishing spots are also near the causeway, and in the creek off of the settlement of Lorimers. There are no fishing supply or marine shops on North and Middle Caicos. All equipment and bait will have to be sourced from one of the water sports businesses on Providenciales. Guided and DIY bonefishing and kayaking on the pristine flats of North Caicos. All equipment provided both spinning and fly. Flats boats, fishing-kayaks and SUP’s available for groups up to 12 anglers. An easy day out from Providenciales. Last reviewed by an editor on 27 June 2018.